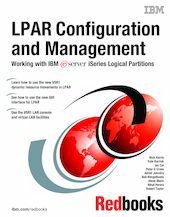 Since its introduction with OS/400 V4R4 in 1999, logical partitioning (LPAR) has re-energized server consolidation strategies both for IBM eServer iSeries and AS/400 customers. It continues to take full advantage of the innovative hardware and software technologies that are made available with the iSeries and OS/400 V5R1. Customers that have successfully implemented LPAR with OS/400 V4R4 and V4R5 have also awaited the enhancements to perform resource movement without requiring an Initial Program Load (IPL). OS/400 V5R1 provides this ability. It allows dynamic movement of resources such as CPU, memory, and interactive performance. V5R1 also extends LPAR support to the new iSeries Model 270 SStar processor features, including the ability to partition a uniprocessor to support both OS/400 V5R1 and Linux partitions. OS/400 V5R1 with iSeries provides an environment to optimize IT hardware infrastructure through server consolidation and LPAR. This is made possible with the combined support for High Speed Links (HSL), independent auxiliary storage pools (IASP), Integrated xSeries Adapters, fibre channel support for Enterprise Storage Server (ESS), and high speed disk and LAN adapters. This IBM Redbooks publication is intended to help you with V5R1 LPAR planning and implementing considerations. It looks at various scenarios that implement LPAR. This book complements the LPAR information provided in the iSeries Information Center. Plus, it includes additional practical scenarios for implementing LPAR with OS/400 V5R1.